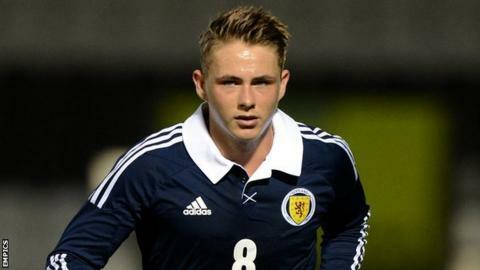 Scotland Under-21 international midfielder Scott Allan has joined MK Dons on a month's loan from West Bromwich Albion. The 20-year-old joined the Baggies from Dundee United in January but is yet to play for the Premier League club. He spent the end of last season on loan at Portsmouth, scoring once in 15 appearances as they were relegated from the Championship. Allan signed in time to feature in Saturday's game against Crewe. He told the club website: "I'm very happy to be able to sign here. The team plays very good football and I'm very excited about being part of that. "The fans can expect a lot of creativity from me and hopefully I can make things happen."